Energy: revolutionize the way you power the world thanks to our online 3D printing service. 3D printing applications are numerous. Thanks to our fast and reliable 3D printing service, you can get your electronic cases quickly with a very high quality. You need controllers everywhere to monitor your powerplant. 3D printing allows you to create cases that perfectly suit your needs Indeed, these 3D printed energy generating devices are 3D printable, and you can get them in a record time thanks to our service. Our plastic material is both strong and slightly flexible. It is the perfect 3D printing material for this kind of application. 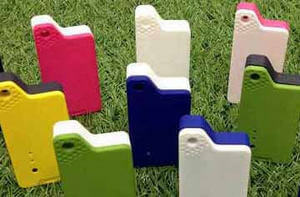 We offer it in a wide range of dyed colors and in white and grey solid plastic. The 3D printing technology allows mass customization, so you can easily customize the 3D printed parts that you order. When it comes to generating electricity, propellers and mechanical parts are everywhere. 3D printing allows for drastic time and cost reductions. 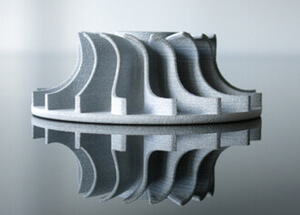 Additive manufacturing is the perfect solution to help you with your product development process. Testing is always more accurate than simulation and with 3D printing you only need a few days to get your test product. Thanks to this innovative process, you can shorten your product conception time and design better products. You only need to design a model thanks to a 3D software in order to get your 3D file. It is quite practical for prototyping as you can easily rework on your file in order to get the perfect 3D printed model. The 3D printing technology is a good method to test ideas and projects at a lower cost. If you need a few models for testing, prototyping or showcasing, take advantage of our volume based reductions! And if you order more than 20 pieces you can take control of the printer thanks to our online batch control tool. Handing your product to the customer can often make the deal. Easily turn your products into reality with 3D printing. You have a renewable energy project in mind? An idea to develop a new energy generating or energy storage devices? The 3D printing technology is here to help to demonstrate your projects. Indeed, all your ideas are 3D printable. 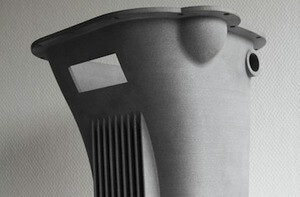 Additive manufacturing is a great way to do rapid prototyping, but also to produce. For example, you could produce 3D printed electrodes or other 3D printed energy solutions with this technology. Print mechanical parts in plastic or resin to showcase how innovative they are. A lot of 3D printing materials are available at Sculpteo. If you need color, you can use our multicolor material to render a factory or display data on a part for instance. Unleash your creativity with 3D printing since it allows you to print virtually anything you can imagine. These manufacturing technologies are also great to make new experiments for science and engineering, that is why the energy industry is using the 3D printing technology. No need to wait until Monday morning to get a quote, do it online! Our exclusive 3D tools allow you to check the solidity of the walls and how details will render after the 3D printing process. There's no minimum order to use our professional 3D printers, we 3D print your model starting at 1 copy. If you are not in a hurry, we can offer you a cheaper price. Maarteen Delange, a European designer, was challenged to create a factory replica thanks to 3D printing. After a lot of modeling work and with the help of Sculpteo's team, reviewing and thickening tools, his beautiful factory replica became reality! Simusolar is a company created in 2014 which develops and implements small-scale sustainable solutions to bring solar energy to the rural population of Tanzania. For instance, they developed solar-charged LED lights for fishermen from the Lake Victoria, to replace their petrol lights when they fish at night. They chose Sculpteo to 3D print parts for them. Ubudu, a start-up that proposes a tool for data acquisition in retail stores, needed to prototype an electronic case at a reasonable cost. 3D printing answers this need.